So, Canon top management flopped with all latest mirrorless cameras. Sales are bad. Making new lenses is scary. And actually whole mount can be abandoned soon. So, what is the plan? Make fast FF prototype using pair of Digic 7 from EOS M50 and provide them to only few tightly controlled people. At the same time make wide leaks campaign, make people feel like next big thing is coming. Also carefully prepare them for new mount. But it is only one problem, final camera expected arrival is really late. Most probably they will use GH5 like announcement plan starting almost 6-9 month ahead and start around Photokina 2018. With real availability at mid 2019. And fully different sensor and LSI compare to prototype. It is just one problem. Canon camera department can be part of Sony at the time. The just one problem is for me logical step in camera history. 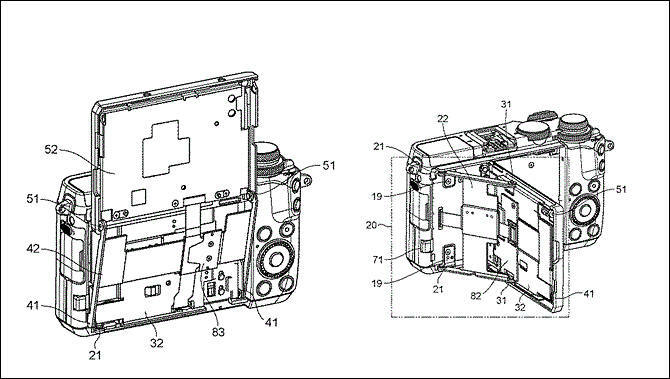 In fact for Canon would be good for their sensor tech. It is shame that their slow action and their uplifted noses upon all other brands make them finally look outdated and in need. They are a grate brand and have give a lot to the history, but times change and the shure know it. This is no good bye Canon, this is desperate moves from desperate measure. Proper term here - lack of socialization. Canon is not big enough, in other words. For Sony sensors progress (used in almost all other cameras) it is hundreds of millions of smartphone buyers who paid for it. So, no, it is not Canon managers who are stupid or such. Managers are stupid lol. Canon actually view in it from a total modern point of view, it like seeing granny trying to implement new stuff with old concepts. Can work but the mayority will have more moder and interesting solutions. Canon needs to move forward and let time do its job. Just like kodak lol. Canon and Nikon will launch full-frame mirrorless cameras, probably in the near future. When this happens, we can easily make Canon and Nikon versions of our [native] E-mount lenses. The same design could work for [multiple mirrorless mounts]. From Tamron interview. It just means that EF mount is at the end of life. Camera with large grip and top LCD, dials are similar to those we found on the EOS 5D Mark IV. Upgraded version of the EOS 5D Mark IV sensor, obviously includes DPAF. 4K at: 60p/30p/24p (both DCI & UHD can be chosen). Anyone claiming that they know the final specification of the production product are simply not telling the truth. We have confirmed at least two prototypes are in existence and we wouldn’t be surprised if there is more of them out there. We’ve reported what a couple of people have told us about the prototype cameras and at no point do we claim or think these prototype cameras will be what we see once something is announced. My sources confirm that Canon will try to at least make pre announcement at Photokina or around. We’re told a big selling point of all future Canon prosumer camera bodies will be video capabilities. Internally Canon has had a lot of discussion about improving the perceived feature set of prosumer cameras to match the likes of Sony and Panasonic. Slowly rumors sites start to get bits of info. "Perceived" feature set... so it will record 1080p and wrap it in a 4k package? Do not worry, it'll have good 4K. Also will have best video AF by far. I was just making a joke about "perceived" features. If the Canon has decent non-cropped 4k and dual pixel AF, I'm prepared to like it a lot. Canon will announce a new, pro-oriented mirrorless camera ahead of Photokina 2018 (September), and it may be another APS-C camera. Canon’s full frame mirrorless camera has not been put on ice. It will most likely be announced before Photokina 2019 (May). While rumors and rumor outlets have alternatively suggested a September 2018 and Q1 2019 announcement, we start to believe that Canon’s full frame mirrorless camera is indeed a 2019 affair. For me looks like normal modern education manager strategy. I regularly talk to many of them. You look at how thing can fulfill needs, they don't. The new FF mirrorless would see it’s debut in May 2019 at earliest. Also Nikon’s FF mirrorless is supposed to be on market in Q2 2019 only. 4K@30fps video and DPAF (huh). Canon seems to be looking at Nikon now mostly. Idea is to present same two cameras to oppose new Nikon offers. Current management trend is to also set margins records in canon history, but they are also afraid to set price lower than Nikon. So actually it is idea to become new Apple with their top mirrorless offering aimed at rich people only, not professionals, hence special premium price could increase sales due to better status. I had been told that management is very concerned with this margins thing and also with design and marketing PR program. None of them care about video features, actual cameras performance much. It is up to lower position engineers. Due to fast Nikon announcement (paper one!) it is now panic among Xanon top management. Lower managers are being kicked to come with some good solution. One of the options discussed will be making very expensive celebrities and bloggers trip and showing them camera in private under full strict control, they won't be allowed to shoot or even do things themselves. Canon will demand articles with very high prizes for product. But it is one option discussed for now. Another one is very long press release with lot of citations of rich IT and bank people. Announcement is expected in the second week of September 2018. Event can happen at September 13 or 14.